MOTOR CAR STORAGE AT IT’S MOSTEST! We are Car Storage Specialists. Based just outside Newport Pagnell, Milton Keynes, we are a secure, indoor, long-term car storage facility for owners of Classic Cars, Modern Classics and Performance Cars, Motorcycles & classic VW Campers. Our discreet rural location lies 15 mins from junction 14 of the M1, with easy access to all major London airports and less than 40 minutes by train from CMK to London Euston. Our clients typically come from South Northamptonshire, Central Bedfordshire, North Buckinghamshire and North Hertfordshire areas. We also cater to North London & City clients too. 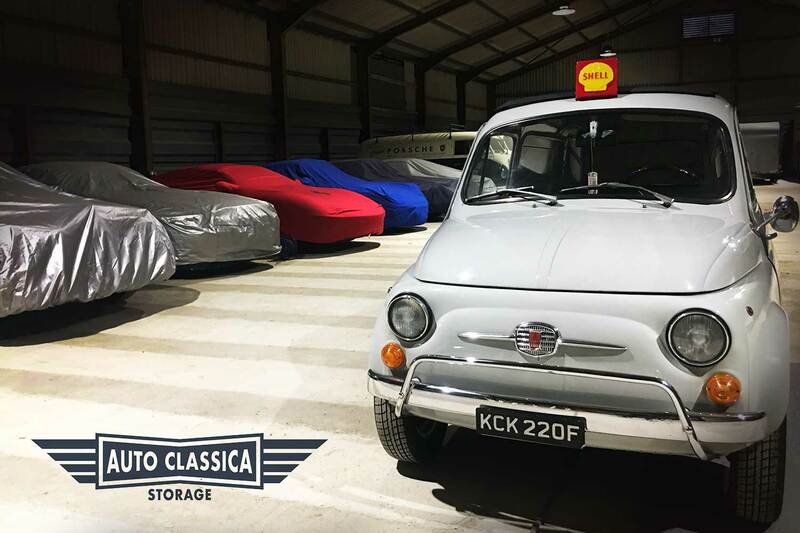 Auto Classica Storage is a professional long term car storage specialist. Hidden in a secret rural location in North Bucks. To discuss your individual needs please use the form below. We can arrange specialist vehicle aftercare services, from annual MOT’s and servicing to full vehicle detailing, repairs and restoration. Please get in touch using the form at the bottom of this page. As a Long Term Car Storage company we can also arrange to collect or deliver your vehicle from anywhere in the UK or europe. Please get in touch using the form below to discuss your needs. Discreet, Secure classic car storage, Supercar Storage, VW Camper Van Storage and motorcycle storage services in North Bucks. For private owners, collectors and independant garages requiring, secure, long term vehicle storage. Insured by Aviva via Footman James (see our T&C’s). To discuss your Car Storage needs or to arrange an appointment please fill out the form opposite. All visits are strictly by appointment only. Thank you.